Nikon S Rangefinder CLA | TunnelBlog! loosen but do not remove the set screw…. 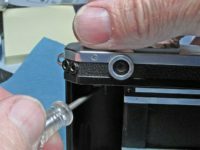 put something in the forks of the rewind rod and unscrew (ccw) the knob on top. 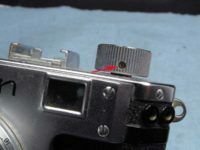 first set the slow speed dial to 1/20, then lift the shutter speed dial and turn it until you can see the set screw in the slot (looking from backside) loosen but DO NOT remove the set screw. unscrew the shutter speed dial (ccw).. I found it necessary to first advance the shutter. 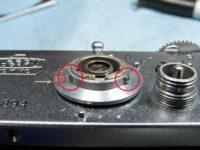 with the top plate removed, there is a spring under where the shutter release button was, take it off so you don’t loose it. here is the inside of the top under the shutter speed dial area. the yellow arrow points to the lever that is in contact with the slow speed cam. 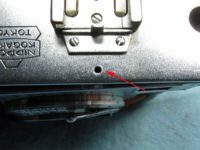 the red arrow points to the shutter closing curtain release lever, the closing curtain release cam is resting against it. 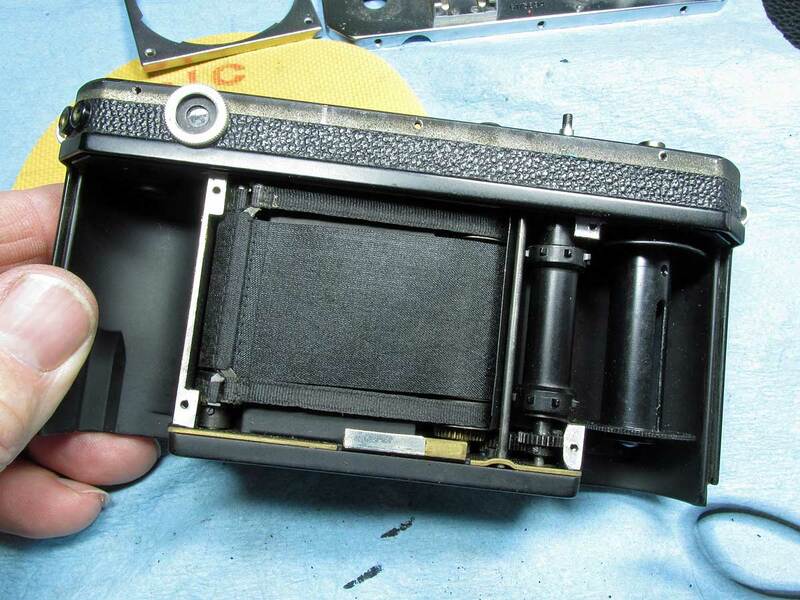 the crescent moon shape above the yellow arrow is the RF mirror housing. 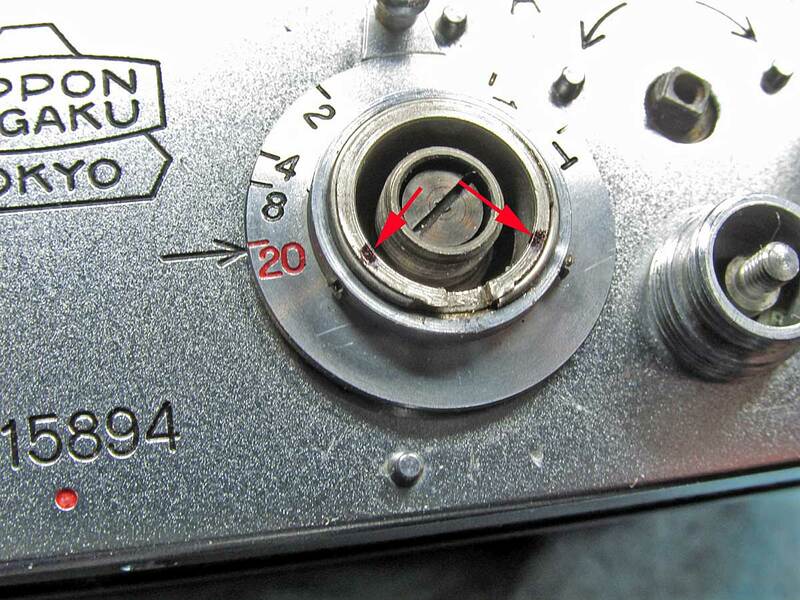 clean with lighter fluid and give a tiny spot of grease on the lever at the contact point (at red arrow) clean all gears with lighter fluid, being careful not to let it soak down onto the curtains. 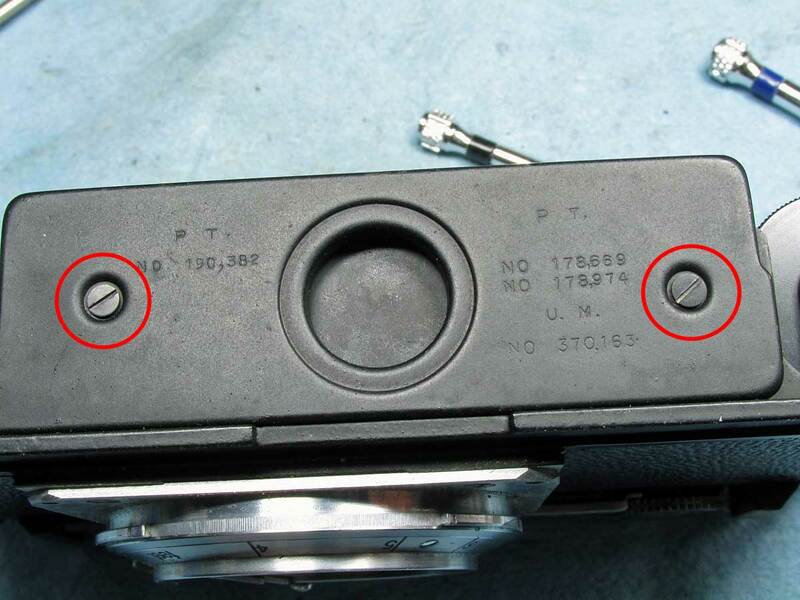 unscrew the 6 screws, (circled) the two at the bottom are longer. 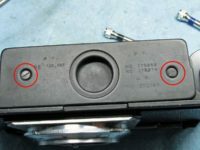 lift the bottom first then slide up to clear the focus dial. 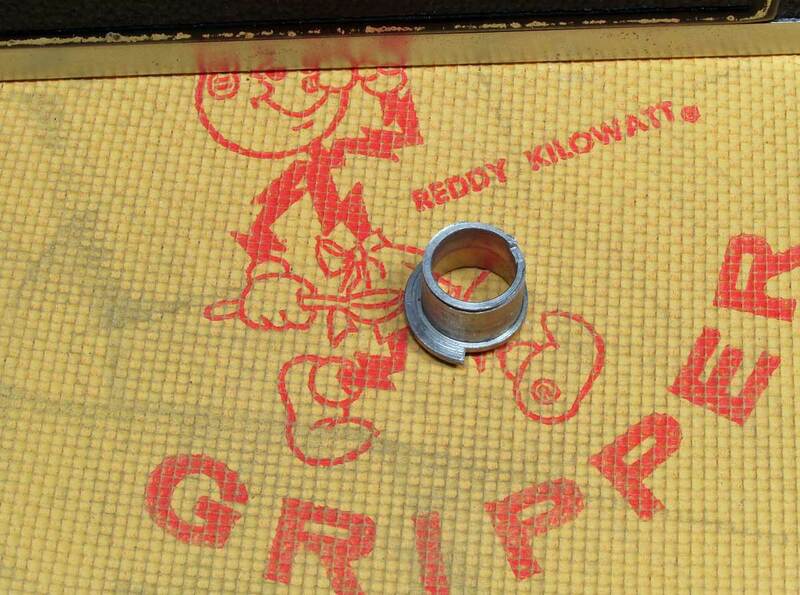 here, I cleaned the front of the VF/RF glass plates. I looked at it with a loupe and noticed spider web type fungus. use a 50/50 mix of household ammonia and hydrogen peroxide to clean fungus. 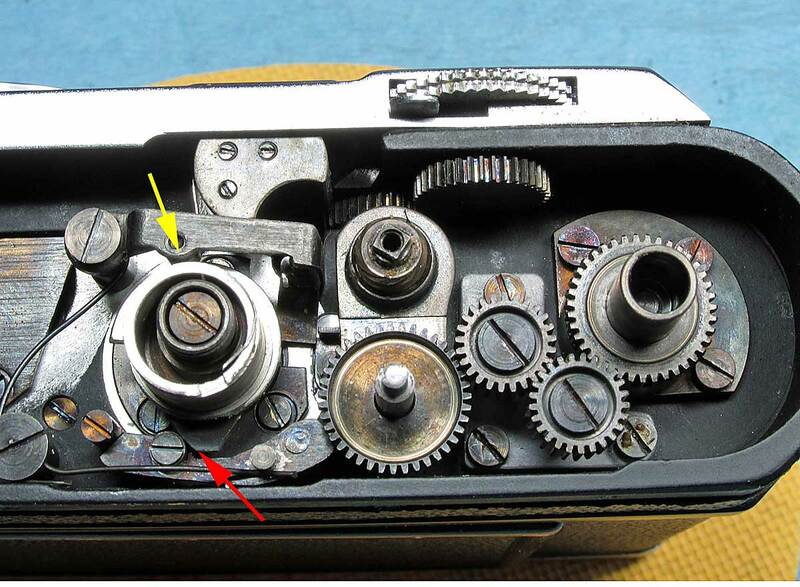 remove the 4 screws (circled) gives access to cleaning gears on the shutter curtains. 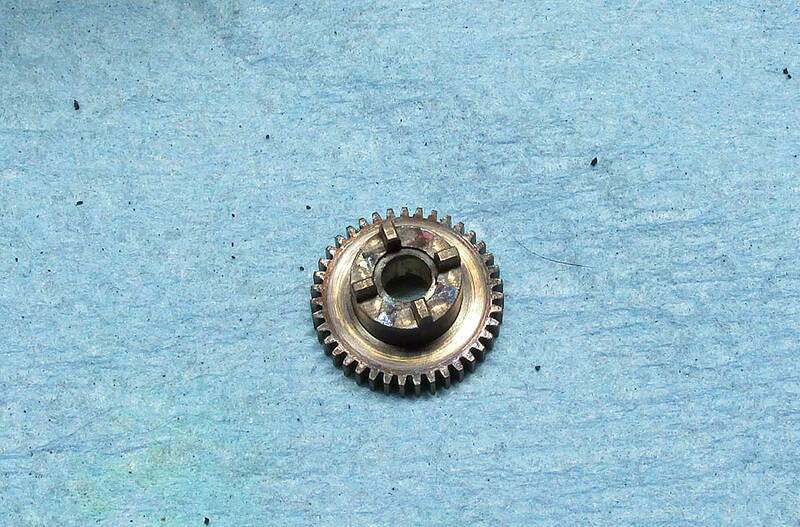 at the bottom of the curtain area I cleaned gears the best I could with lighter fluid staying clear of getting fluid on the curtains. 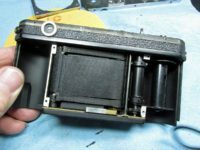 …simply set the gear with the forks down back over the shutter release button rod and rotate it until it seats flush with the bottom. 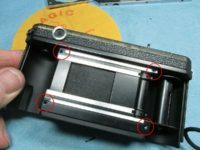 under here are the curtain tension adjust screws. I didn’t need to adjust anything. 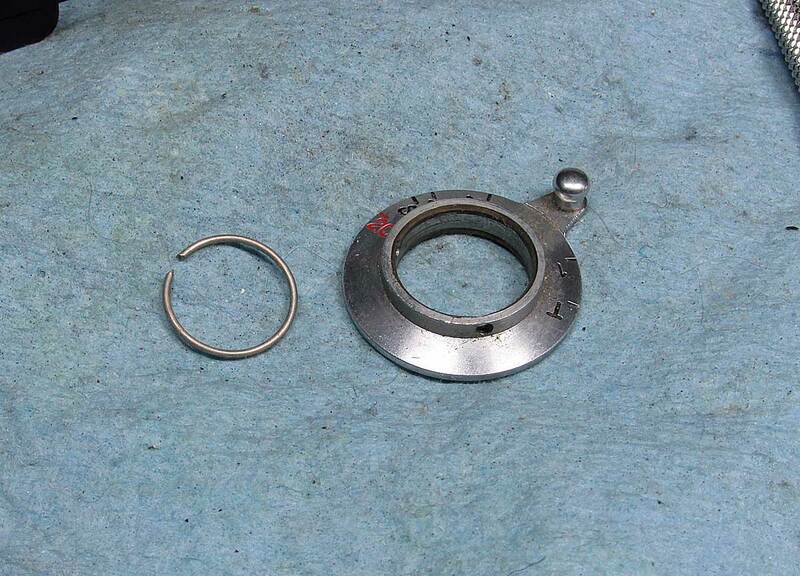 always clean and lube before determining if you need to adjust or not. 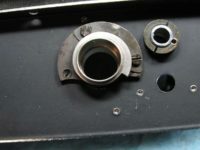 under here is the curtain tension adjust screws. I didn’t need to adjust anything. 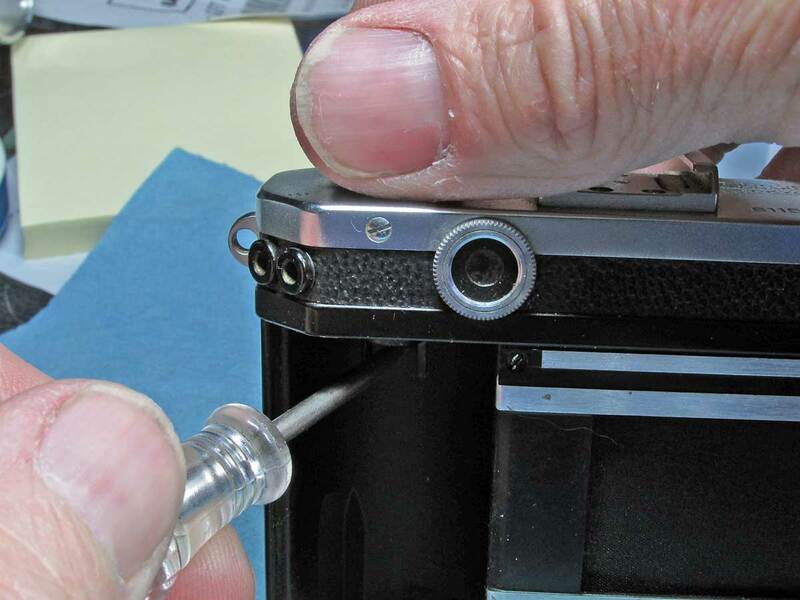 always clean and lube before determining if you need to adjust or not. clean the gears with lighter fluid careful not to get the curtains. 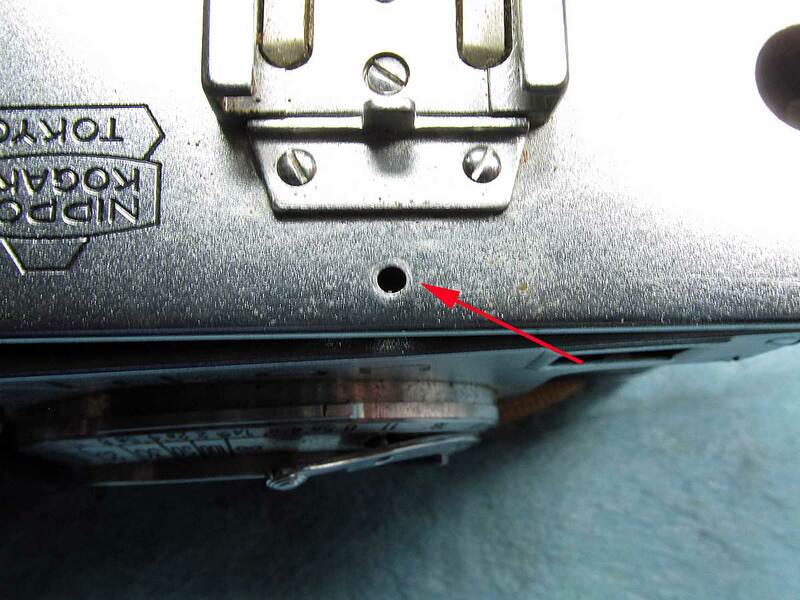 this is the second camera that this rod has been the culprit of a misfiring shutter (other was a Leica IIIa), . the rod that the closing curtain release lever rests on. 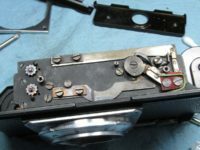 it was loose, caused shutter to not close every time. 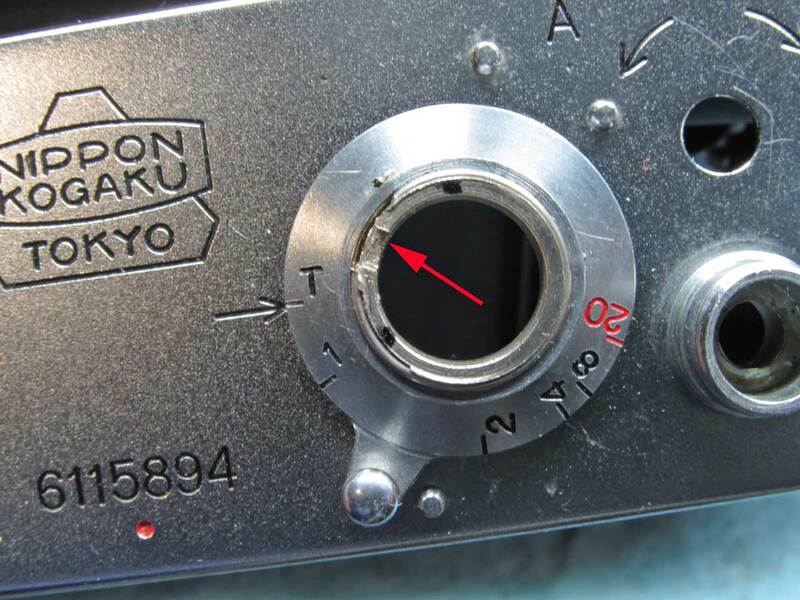 usually have to wind film advance knob to close it. 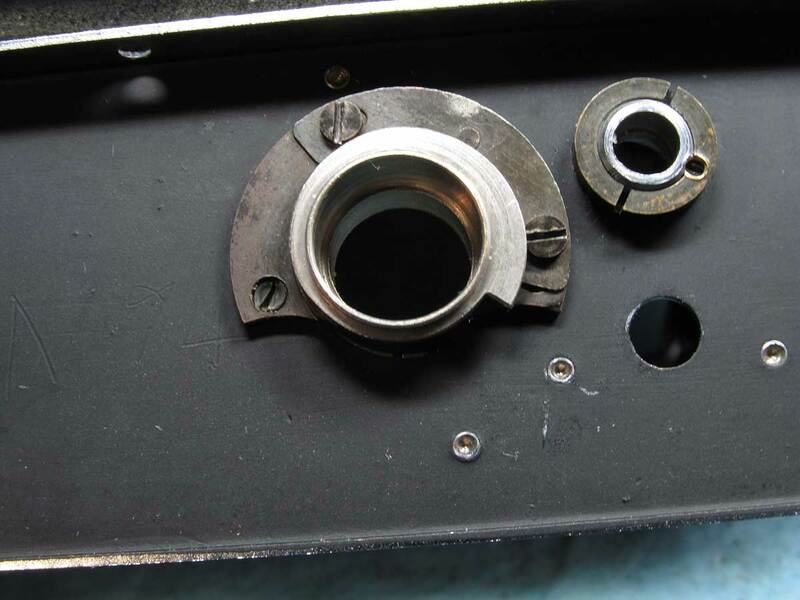 here is how it should look before putting the top plate back on. thinnest part of the cam as shown to clear the slow speed actuating rod on re-assembly. 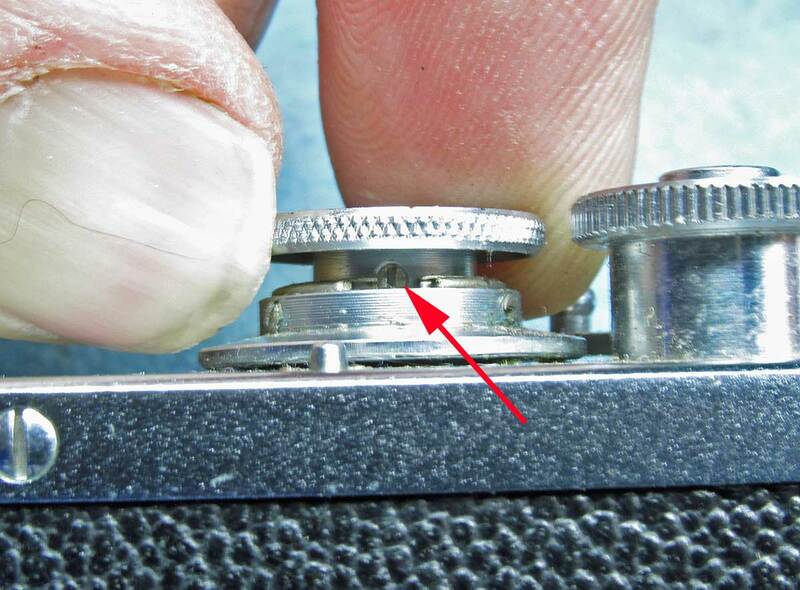 do the trick from image 10 in reverse to get it positioned properly…. 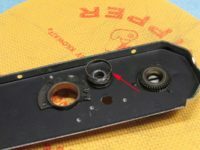 while looking down on it after the top is put back on, rotate the cam itself clockwise so the cog clears the post it rests against. with the slow speed dial set to “T” this is about how the dot line up. 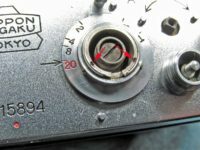 after slipping the top plate on, turn the dial to “20” and with your thumb or a screwdriver, rotate clockwise the inner cam until the dots line up with the set screws. 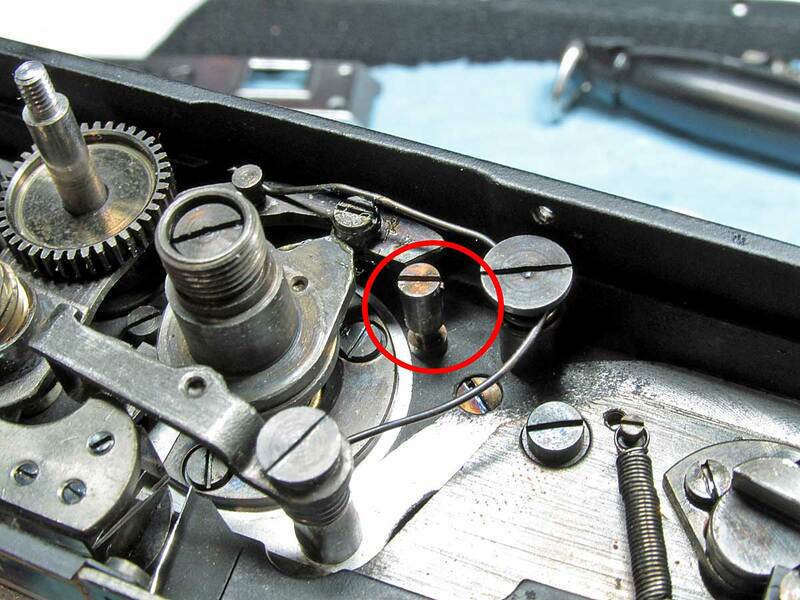 replace the split-ring and tighten the set screws. 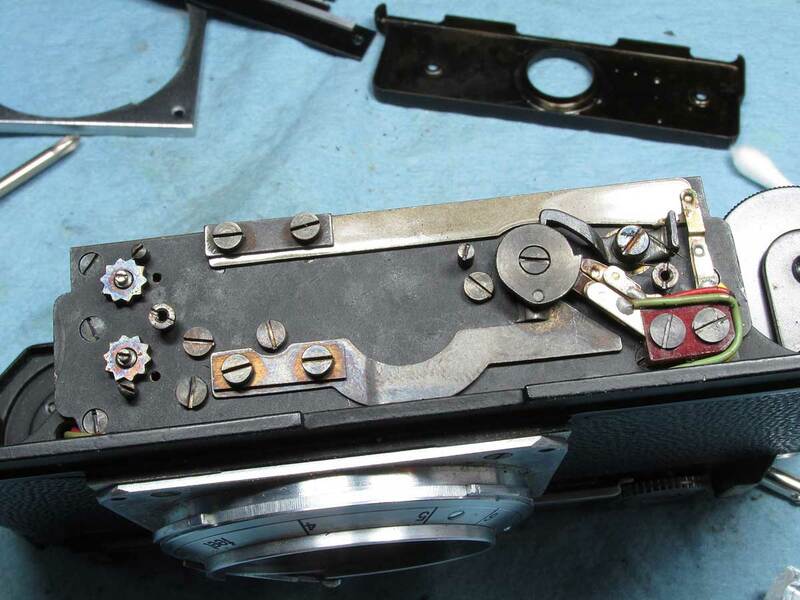 finished the partial CLA of my 1951 Nikon S. work done: partial disassembly, removed top and bottom and film plates, cleaned RF/VF optics, cleaned gears, moving parts lubed where appropriate repaired loose parts. The slow speed dial is not as complicated as it may seem. 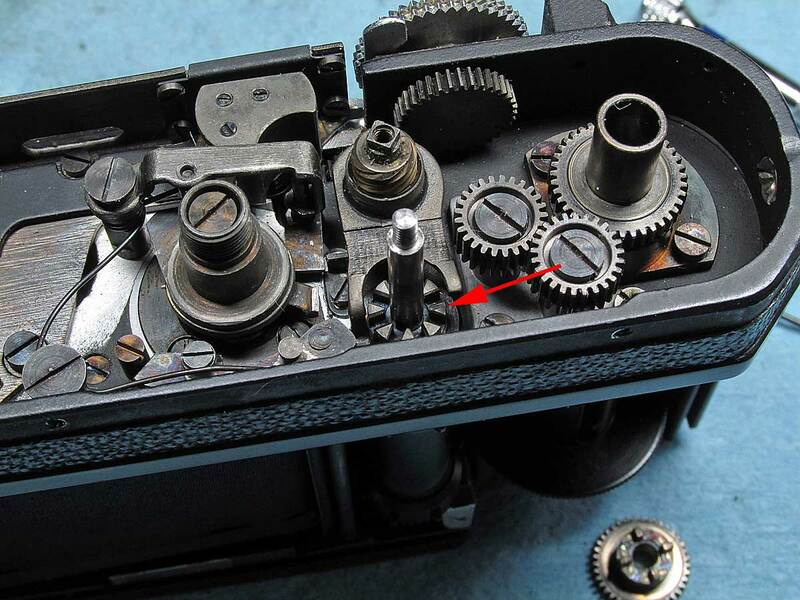 basically you need to clear that linkage with the cam as you re-assemble. 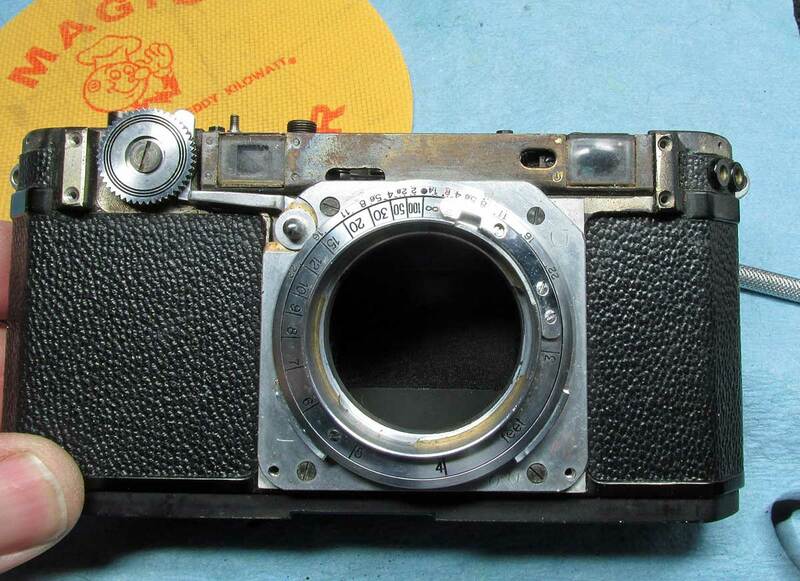 It’s a fairly easy camera to work on except I’m not sure how to get at the shutter curtains for replacement. 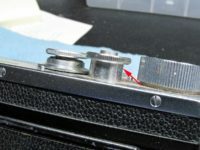 What if the shutter is simply not opening? Where do I start? I only paid $3 for an S in visually good condition, with a lens, so I’m not risking much. This might help. 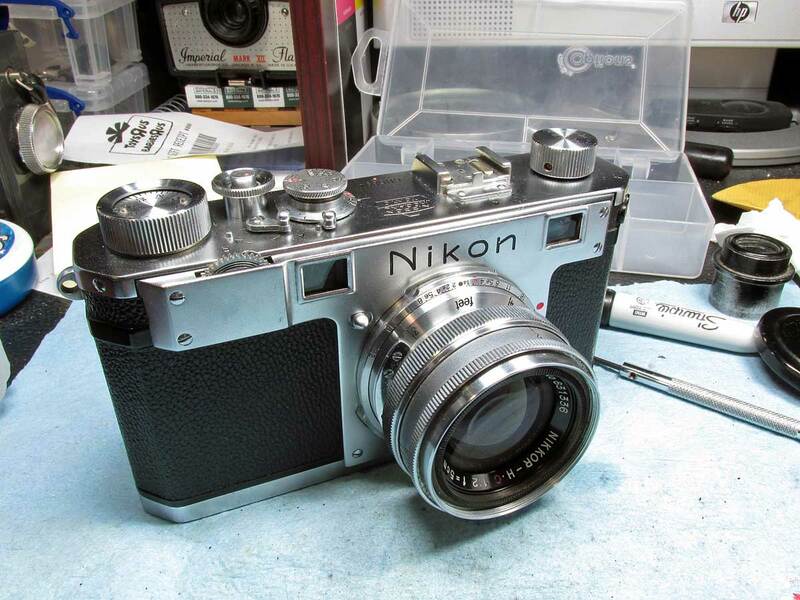 It’s not Nikon but the principal is the same. The bottom and top of the Nikon is very similar to a Leica or many more modern cameras with focal plane shutters. 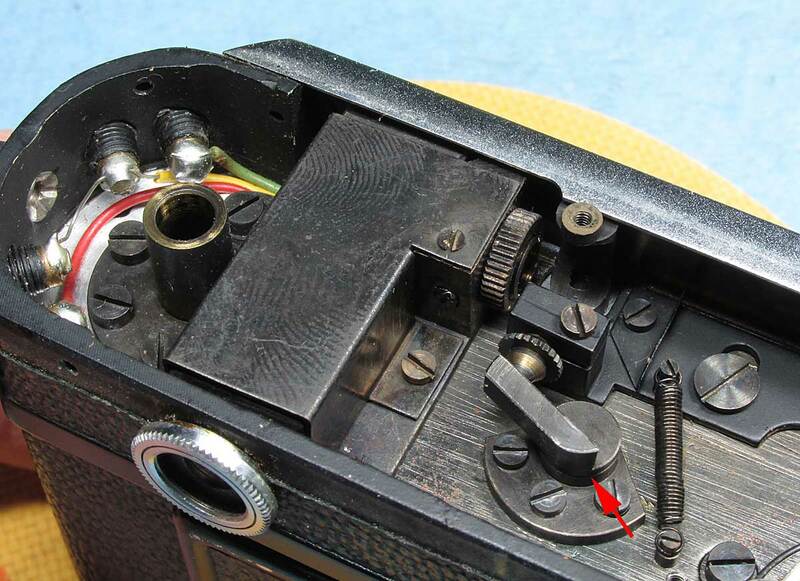 I would first observe the bottom (with bottom plate removed) and look at the Pawl as you press on the shutter button. is the Pawl clearing the catch? if so try gently spinning the Pawl with your fingers. 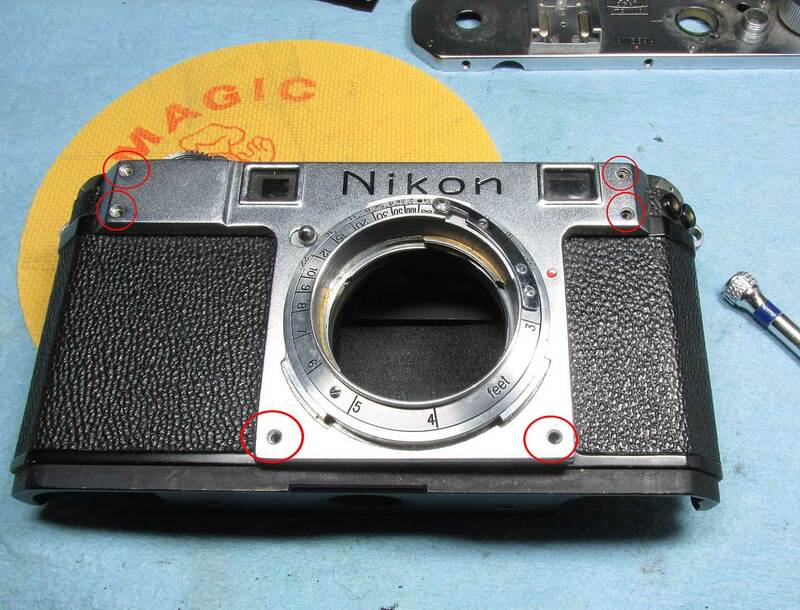 the first link is basic Focal plane shutter stuff, not brand specific, the second link is for a Leica but like I said, the Nikon is very similar. 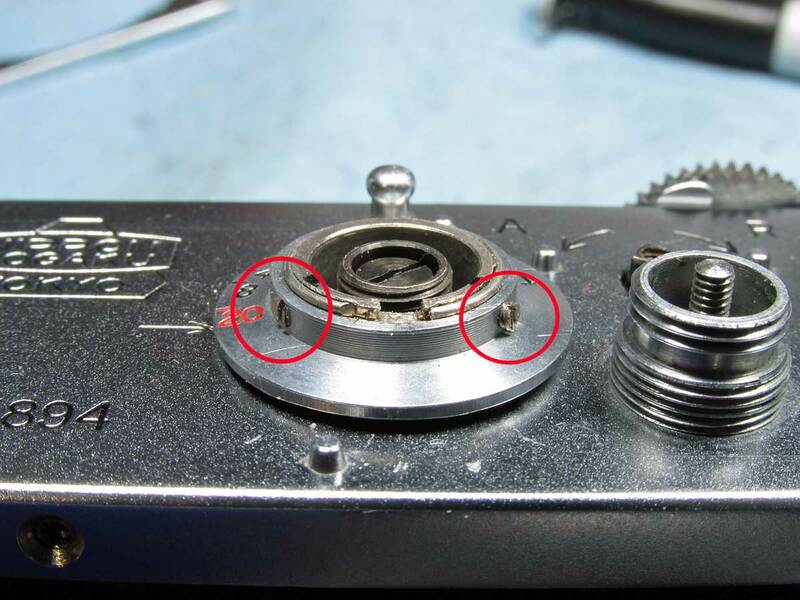 Rick explaines how it works pretty well..
My S2 doesn’t work correctly slower than 1/60, where is a good place to send it? not sure, I always repair my own. Try Google or the RangefinderForum site.